After I posted the SAM Site Overview update, it occurred to me to look at a calendar. I then, of course, realized that I have something of a problem. My schedule is based on a four-week cycle. Since July starts this week and I'd already processed through all of June's stuff, I counted this as week 1 for the July schedule. Hence the SAM Site Overview update. Anyway, July still has a full four weeks to go. So what I'll be doing in these instances is posting something random during the fifth week whenever something like this occurs. Could be a Site Analysis, could be a SAM Network Overview of a smaller nation, could be something else entirely, who knows. I'll pick something when I get to that point this month, and then every subsequent month will have it listed in the posted schedule if necessary. Also, the next SAM Site Overview update will incorporate all of the old Nike, BOMARC, and HAWK sites in the US that I can find. 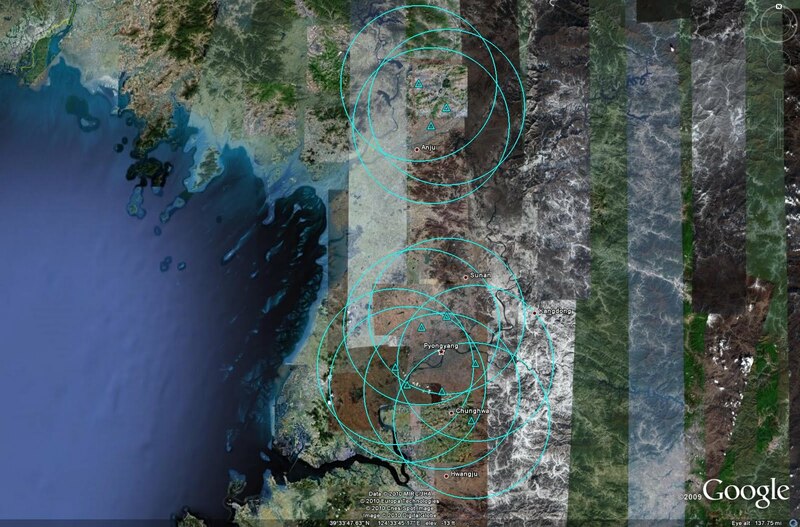 I know this is already technically in Google Earth, but I've got a few good books on continental US air defense during the Cold War and figured trying to find them all myself would be a good exercise in imagery analysis. Never hurts to keep the chops fresh. Besides, they should be in the database anyway in the Historical Sites section. 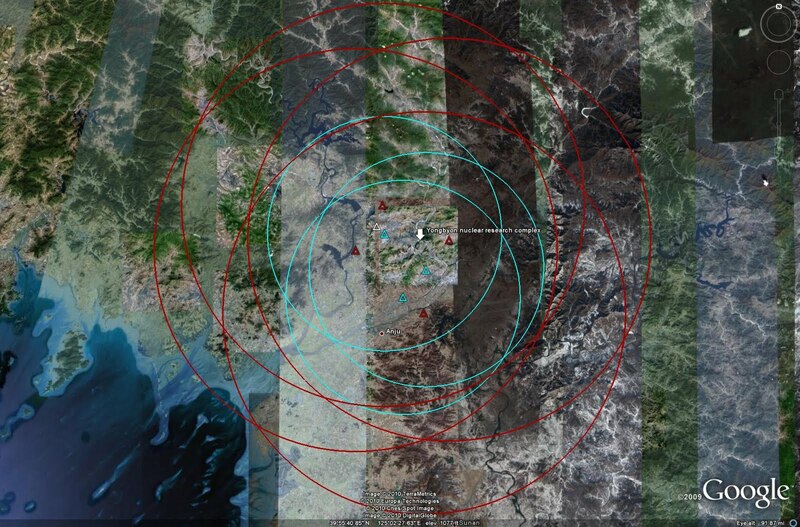 The Underground Airfields bit will be a three part piece. 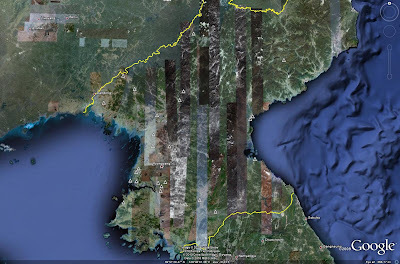 Part 1 covers the DPRK, part 2 covers Taiwan and various nations in Europe, and part 3 covers China. These probably won't appear in consecutive months, as some of them (particularly China) will involve a ton of work. A little short notice because I am behind in my e-mails, but this one will be hosted tomorrow. “Insider’s Guide to Careers Executive Protection” will take place Thursday, June 24, from 1:00 - 2:00 PM PDT. If you're interested, go here to sign up: click me. 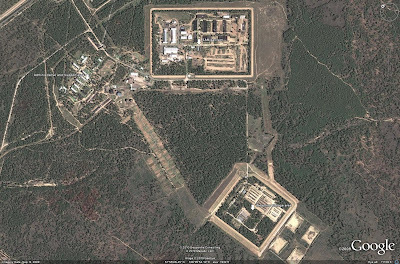 The SAM garrison at Ulan-Ude is a significant military facility located in Russia's Siberian Military Zone. It represents one of the largest SAM garrisons inside of Russia, containing enough equipment to thoroughly modernize any lesser nation's air defense network. The Ulan-Ude SAM garrison, sited roughly 28 kilometers ENE of Ulan-Ude, is an expansive facility composed of three main areas. Apart from the actual garrison and storage facility, there is an administrative and support area and a weapons storage area (WSA). 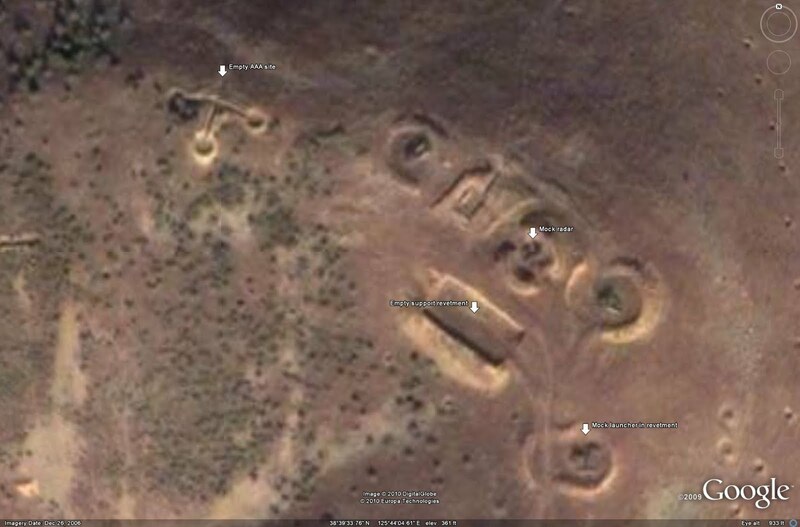 Various items of infrastructure can be identified at the Ulan-Ude SAM garrison. Power to the facility comes from external sources fed into the facility's substation by overland power lines. From the substation, power to the garrison itself is provided by a partially buried conduit. A POL storage facility is located south of the administrative and support complex, providing fuel for the garrison's vehicles as well as maintenance, security, and transportation vehicles serving the entire facility. While a network of minor paved and unpaved roads connect the complex with the outside world, the primary means of access is by rail. A rail transfer point for onloading and offloading equipment located adjacent to the garrison complex. A maneuver area is also located adjacent to the garrison complex, where wheeled and tracked vehicles can be put through their paces before dispersal to active units to pre-emptively identify any maintenance concerns. 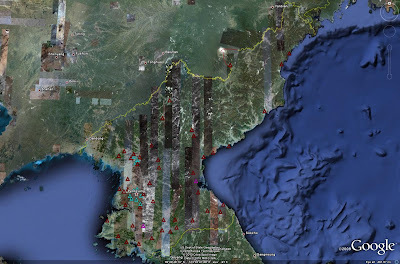 Regionally, there are numerous facilities which may serve to support the complex. 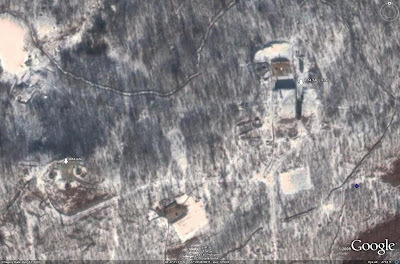 5 kilometers to the northwest, a power substation has been identified near the town of Onokhoy. This substation serves as the regional substation serving the SAM garrison. The garrison's power substation uses overland lines which lead directly to the Onokhoy substation. 6.5 kilometers to the west is a major rail transfer point. Equipment and cargo moved to and from the garrison complex travels down a dedicated rail spur which merges with the main line 2 kilometers east of the rail transfer point. 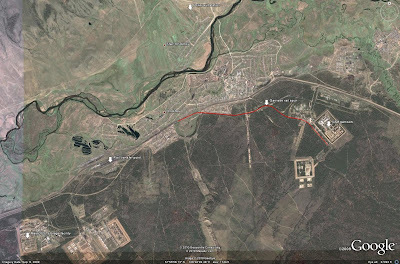 Equipment being dispersed would travel down the rail spur, reach the rail transfer point, and likely either 1) continue along the main line, 2) be held for transfer to a different line, or 3) be offloaded and moved by road to an airfield in Ulan-Ude for airlift. 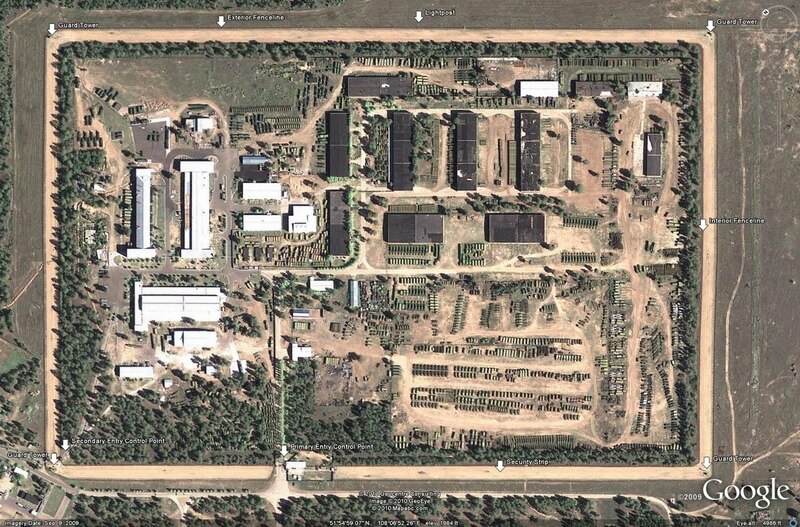 Further to the southwest, at a distance of 9.5 kilometers from the main garrison complex, is a large POL storage facility. This facility could serve as the main holding area for POL in the region, with fuel being transferred by rail to the garrison when required to refill the complex's relatively minor capacity. 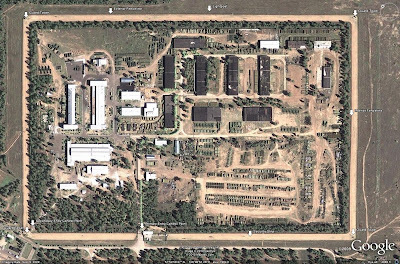 The Ulan-Ude SAM garrison itself is a 530,000 square meter complex with numerous facilities designed to service, maintain, and disperse SAM equipment to operational units. 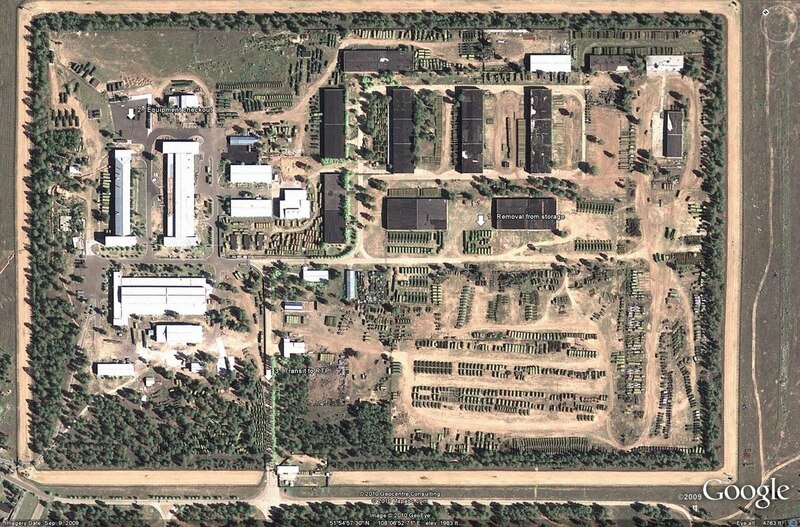 The primary systems held at the facility are members of the S-300P series. 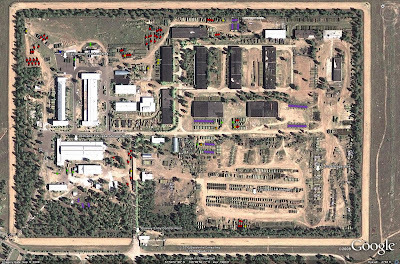 Apart from the holding areas and sheds, major identified locations include an equipment checkout pad, for verifying the operational status of equipment held at the facility before dispersal or during periodic maintenance, and a probable radar storage facility. 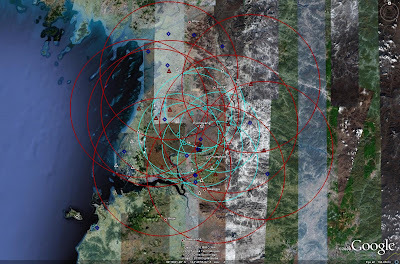 The radar storage facility is the likely holding point for 64N6 (BIG BIRD) EW radar systems, as these systems have not been identified in open storage. The high-bay garage has an entrance at the northwest end of the building which has enough exterior clearance for a large vehicle such as the 64N6 transporter to maneuver out of the building and into the complex. No other buildings appear to have the necessary exterior clearance, suggesting that 64N6 components must be held in this facility. Enough equipment for roughly fifteen S-300P series batteries can be seen in open storage at the facility. There are 68 5P85-1 TELs and 2 5N63 (FLAP LID A) radars associated with the S-300PT (SA-10A GRUMBLE), and 56 5P85S/D TELs and 9 5N63S (FLAP LID B) radars associated with the S-300PS (SA-10B GRUMBLE). Additionally, one 64N6 radar set and 9 40V6 mast assemblies can also be identified. SAM equipment is typically organized by battery, with the components for a complete battery being held in the same area. Apart from the S-300P series components, components for at least 4 S-125 (SA-3 GOA) batteries are also held at the facility, as well as numerous tactical SAM components. 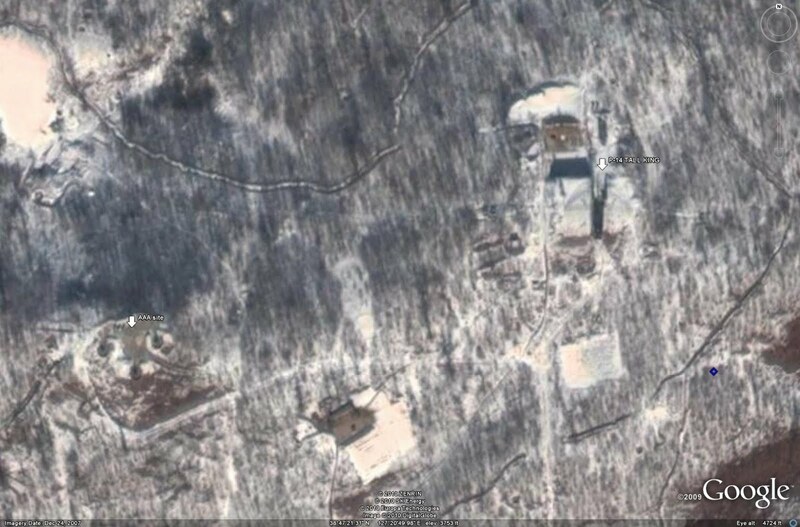 The quantity of components held at the garrison is indicative of Russia's peacetime air defense posture. There are numerous inactive SAM sites in the nation, leading many casual observers to note that the network appears to be a shell of its former Cold War era self. This is not entirely accurate; the Russians have simply garrisoned a significant number of units, holding them in reserve until required. The equipment held at the Ulan-Ude garrison alone would be enough to significantly increase the effectiveness of any regional network. By holding these units in garrison, operating expenses can be saved while retaining the capability for future exploitation when required. 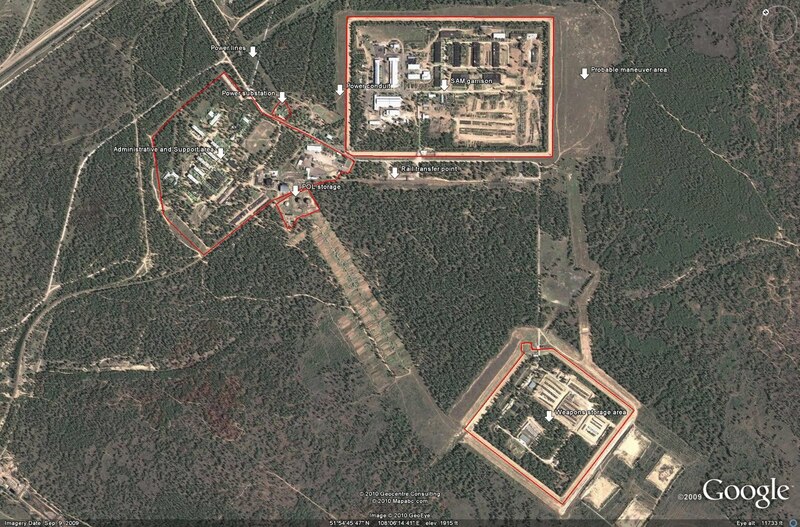 Identified areas and SAM components at the garrison complex can be seen in the image below. 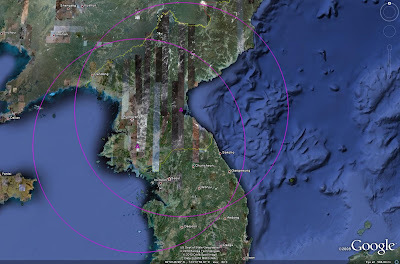 For the SAM components, which are identified by colored dots, the following color scheme has been used: S-300PT TELs are purple, S-300PS TELs are red, 5N63 radars are orange, 5N63S radars are yellow, 64N6 radars are blue, and 40V6 masts are green. The garrison complex has numerous identifiable security measures to protect its holdings. The facility is entered using a primary entry control point which leads directly to the rail transfer point servicing the complex. A secondary entry control point likely serves as the entry for personnel and service vehicles. The complex is surrounded by a double fenceline, with an 18 meter dirt strip having been cleared between the fencelines. The exterior fenceline has lightposts placed every 32 to 35 meters, and four guard towers are situated at the corners of the fenceline in the dirt strip. 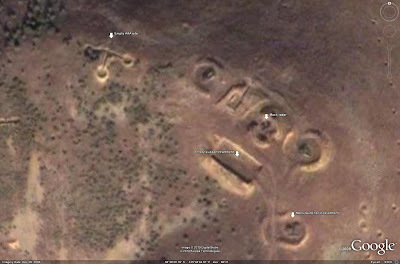 Located south of the main garrison is the weapons storage area for the complex. This facility serves as the primary holding area for the actual missiles to be employed by SAM systems held at the complex. Holding the weapons in a separate secure facility negates the possibility of a catastrophic explosion or fire damaging the SAM components. The WSA is accessed by a single road leading to an entry control point. 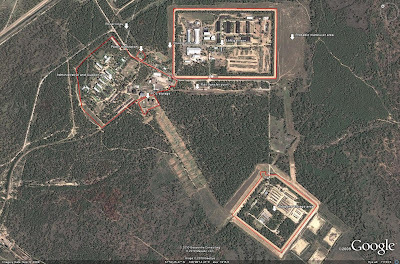 Security is similar to that of the actual garrison complex, with a double fenceline separated by a defoliated dirt strip, various guard towers and lighposts surrounding the compound. 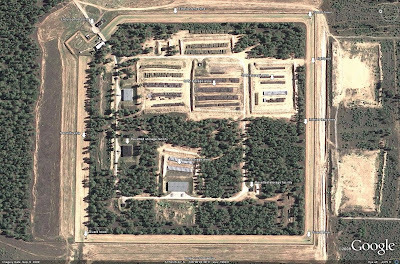 The interior of the compound possesses numerous revetted holding areas, some of which contain storage buildings, others serving as open air holding pens. The following image depicts the likely steps for equipment to be dispersed from the garrison. First, equipment would be removed from holding areas and sent to the checkout pad. There, the equipment is spun up to determine its operational status. At this point minor maintenance would likely be conducted if required, and if enough discrepancies are noted it is likely that a different set of components would be removed from storage. Lastly, the components would be sent to the rail transfer point for transport. The critical nodes for the Ulan-Ude SAM garrison are the main garrison complex and the rail transfer point. 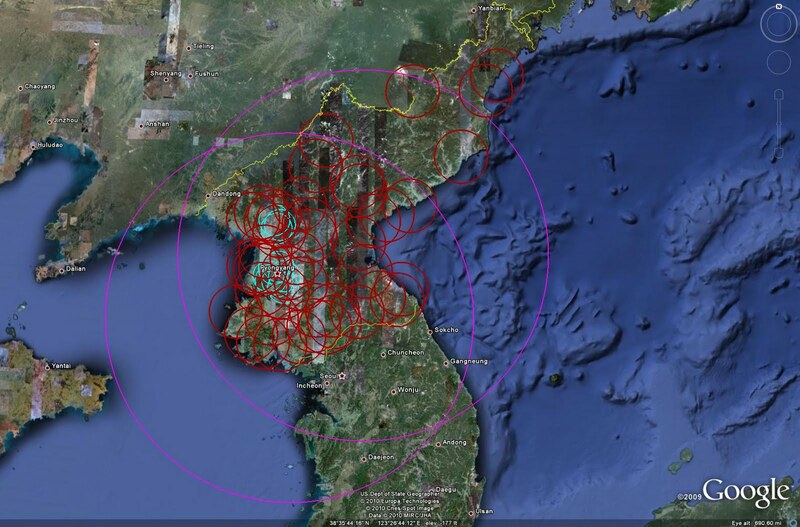 Eliminating the garrison complex itself removes the potential threat psoed by the garrisoned components, while eliminating the rail transfer point would make dispersal a far more time-consuming and tedious process. 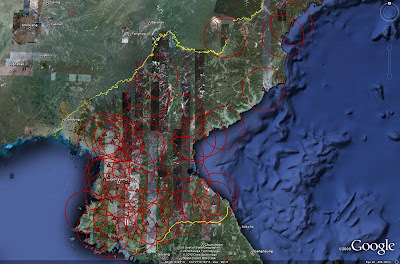 The WSA is not necessarily a critical node as there are sufficient holdings of missile rounds throughout the region and the nation to make up for any loss. Similarly, the power substation is not a critical node as its destruction would not cause any appreciable loss of ability to disperse equipment. The portable generators possessed by each individual battery could be used to power components for checkout. 1. The power station servicing the complex through the Onokhoy substation has not been identified. 2. 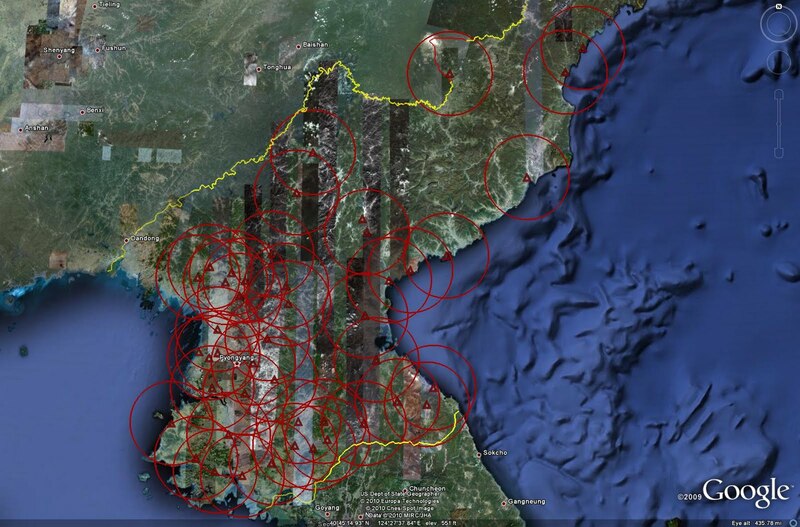 Communications systems and facilities serving the complex have not been identified. 3. 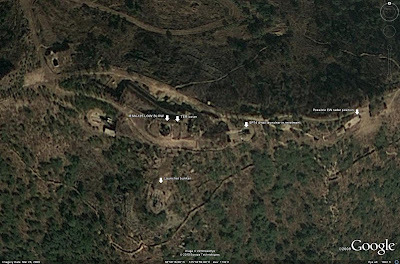 The source of potable water for the facility has not been identified. Some of you might have noticed that this week's feature is scheduled to be on the Ulan-ude SAM garrison. Now, I know what you might be thinking: "Sean, what the hell, that's called an Image of the Week." Not so! This is going to be the first of a new type of feature I intend to do on a relatively regular basis called a Site Analysis. It'll be similar to the SAM Site Analysis pieces, or the look at the Iranian missile silos in Tabriz. 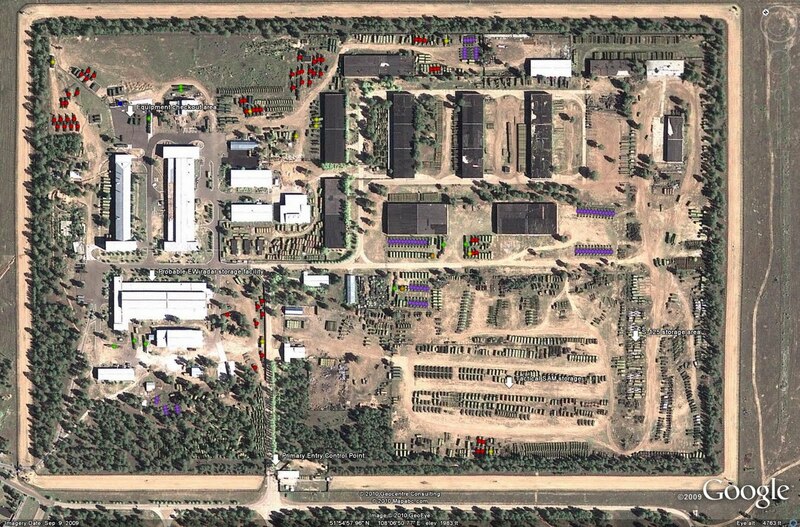 Basically I'll be analyzing a military facility, describing the layout, the major features, any identifiable equipment, etc. Why did I pick Ulan-ude to start with? OK, you got me there: I'm cheating, it's a big SAM garrison with a lot of stuff that's easy for me to ID. It makes a relatively benign way to begin a new "series" of articles, letting me tinker around with the layout and the overall format without having to expend too much brainpower on the actual analysis. What this also means is that Site Analysis topics are now fair game for you to suggest as future topics for inclusion into the monthly schedule. So, that's what that is all about. Look for the first Site Analysis on the Ulan-ude SAM garrison later this week! One of the big stories that seems to have gone relatively quietly into the abyss this week is the fact that Saudi Arabia has apparently given Israel overflight clearance to strike Iranian targets believed to be involved in the development of nuclear weapons. Reports state that Saudi Arabia has even exercised the standing down of air defense units along its northern border to ensure that Israeli aircraft are able to pass through the region unmolested. Of course, Saudi Arabia has been quick to deny the reports, but their denials weren't all that convincing. OK, since Israel seems hell-bent on blowing up whatever facilities they think are involved, even though the Western world has never actually proven that Iran is developing nuclear weapons (after all, such weapons are clearly meant to only be possessed by non-Muslim people in the Middle East, or at least that's the way they're being treated), I thought it might be interesting to analyze some of the potential factors related to such a strike. Point 1: Iran will have to rely heavily on its fighter force to defend itself. Apart from the Tor-M1E (SA-15 GAUNTLET) TELARs sighted near Natanz, Iran lacks any credible SAM defenses capable of deterring a modern fighting force. That puts the onus on the Iranian Air Force to prove that it can defeat what Israel throws at it. Saudi Arabia may have already given Iran an unintentional (or intentional? That'd be amusing to consider...) signal as to when to expect such a strike: all they have to do is monitor the status of Saudi Arabia's air defense network. Bottom line: if you know its coming and you still can't stop it, you may need to reconsider a few things. Like, I don't know, buying Su-30s or J-10s instead of acting like the world's aeronautical laughingstock sticking twin tails on an F-5. Point 2: One of the purported targets for Israeli fighters is the Bushehr reactor complex. Now, I'm not entirely sure of what they'd hit it with, or how much material is inside, but it seems to me like bombing a nuclear reactor sitting right on the Persian Gulf is a relatively stupid idea. There is a risk for contamination if it isn't done exactly right. That could make gas prices shoot into the stratosphere quicker than a SPRINT ABM (which is pretty damn fast for those of you wondering what the hell that thing is). Point 3: Speaking of gas prices, if I'm Iran, I've got teams ready to mine the Strait of Hormuz the minute the first bomb hits. The point here is that anyone who thinks Iran is going to sit idly buy and get bombed is delusional. 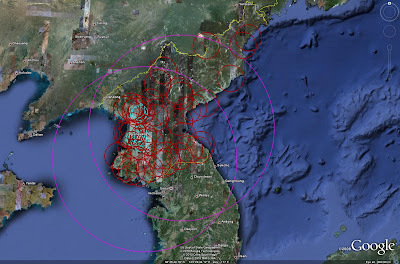 Yes, their air defense network doesn't really scare anyone, but you can bet they'll lash out in all kinds of interesting ways, most of which will probably have a negative impact on the price of gas. Israel gets away with a lot of stuff on the international stage, like pretending to be a US ally while shipping arms to China, but if they are perceived as the reason why people are getting hammered at the pump they might find themselves with fewer friends for a while. There's also the missile force to consider: a possible Iranian response would be to salvo a ton of ballistic missiles at Israel. Point 4: This has the potential to backfire in epic fashion. I can think of two obvious ways in which this could explode in Israel's face. First off, let's say they aren't completely successful. Jets are shot down. Pilots are captured. Talk about a propaganda boon aircraft fragments bearing the Star of David paraded through Tehran would be for the extremist elements in Iran and the rest of the Middle East. Secondly, some of the potential targets might be hardened, but they aren't necessarily isolated hundreds of miles from civilization. When Iran and Israel bombed Iraq's reactor complex in 1980-81 (pretty ironic, huh), the site wasn't active. Iran's facilities are all believed to be active. This could possibly result in the spread of radioactive material after an attack. So, say Israel blows up all of the sites it wants to blow up, but then a lot of material gets spread around as a result. Does Israel really want to have to deal with the political fallout from that scenario? Point 5: This could also explode in Iran's face in just as epic a fashion. Ahmadinejad talks a big game, but what happens to the way Iran, particularly its military capability, is perceived if Israel just flys in there and blows stuff up? "We will defeat any aggressors...we are ready to defend..."...yeah, but what if the Israelis prove that you can't, and you weren't? Then what? Nobody really knows what's going on in Iran. Nobody really knows if Saudi Arabia will actually let the Israelis fly over to blow stuff up, although it certainly seems that way regardless of any political "denials". What we can state is that any military action is going to have some significant effects on that part of the world. Iran may have no choice militarily but to pretty much sit there and take it, but they won't sit there sulking after the bombs stop dropping. Now, somebody who knows more about such things than I do chime in and tell me if blowing up all of these nuclear-related sites could actually spread nasty things around in Iran and into the Persian Gulf. Because at the end of the day, it would seem to me that mining the Persian Gulf or playing terrorist could turn out to be the least of the region's problems after this type of airstrike. And why the hell doesn't Iran just leave the NPT and the UN and give everyone the finger anyway? Then they legally can do whatever they want with nuclear weapons, and it makes military action a lot tougher to justify. I've modified the Strategic SAM Network menu on the right of the page. You'll now see both the country name and the current as of date. For example, I just posted the North Korea feature, so you'll see North Korea (June 2010) in the menu. That will tell you if the feature has been published or updated recently. If you're looking for a more accurate picture and the feature hasn't been updated in a while, as is the case with China, Russia, and Taiwan, you should rely on what's in the SAM Site Overview .kml file. That will always remain relatively current as it is updated the first week of every month.